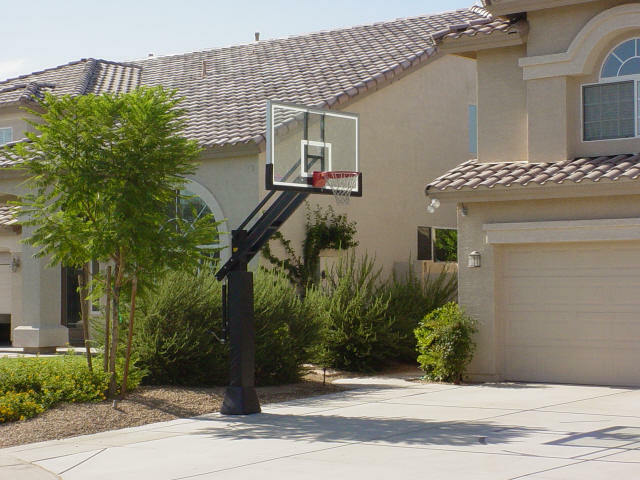 The Titan's massive 6" square, 3/16" thick vertical post and extra heavy-duty dual-strut extension arm provide the toughest, most rigid standard in the industry. 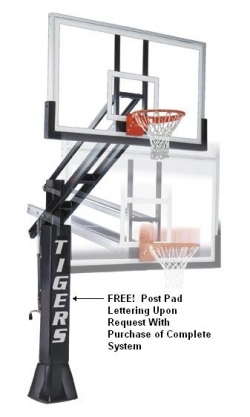 The post is set back 4 feet from the backboard to maximize safety. 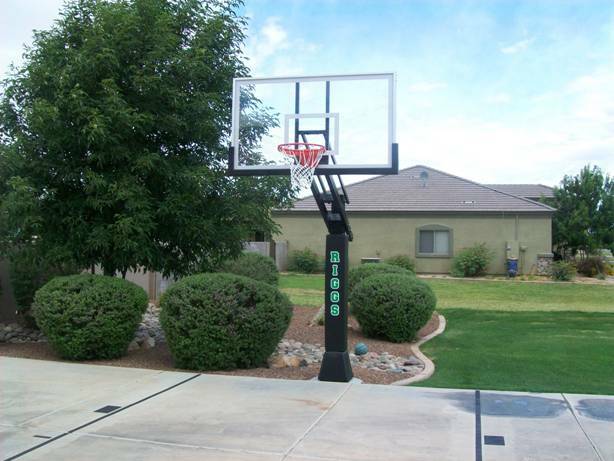 The bolt down anchor footing allows you to easily remove the unit if you move. 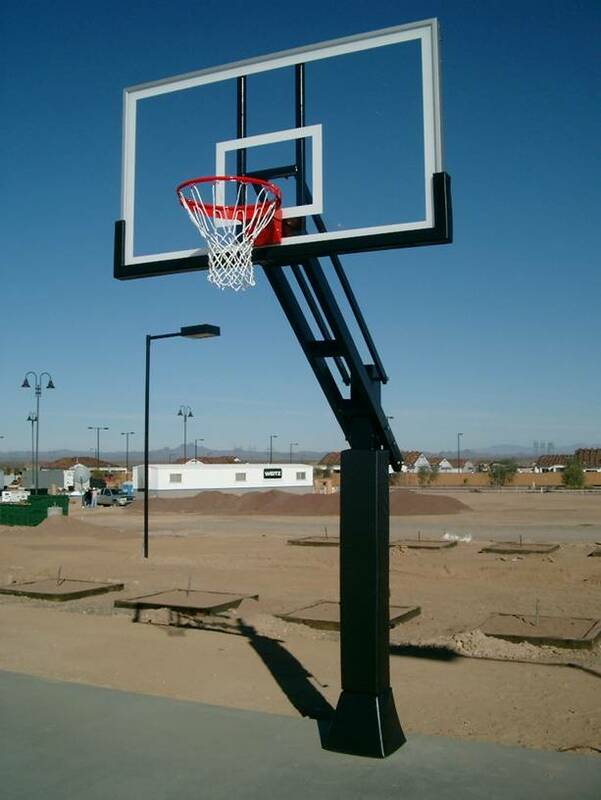 Our EZ-Crank™ adjustment means players of any age, size or ability can change the rim height. To adjust, simply turn the crank handle. 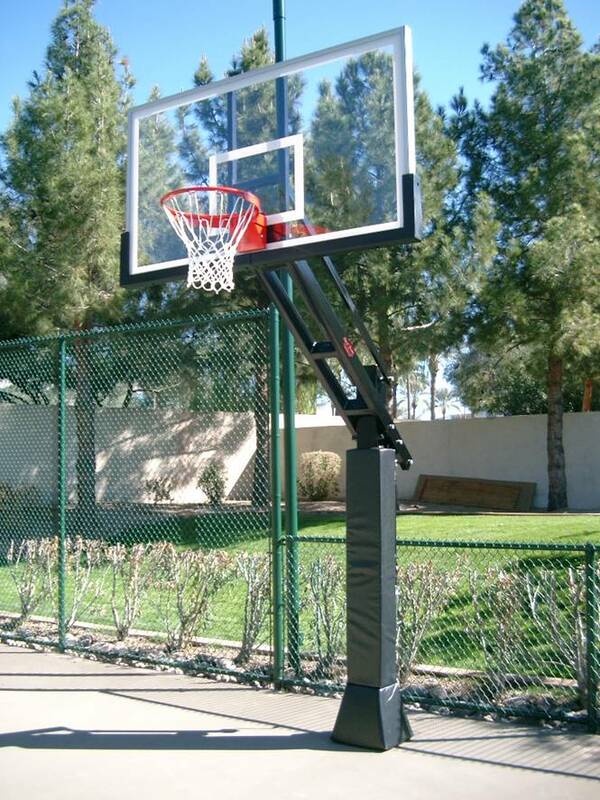 The Titan is infinitely adjustable from 10' to 5½'. 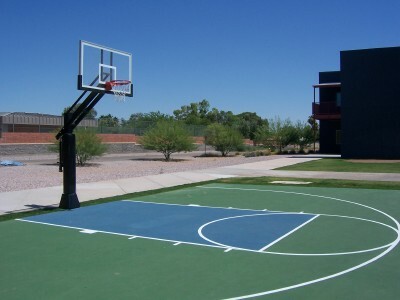 The rim height indicator shows the height of the rim. 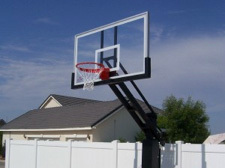 Our "Double Spring-Assist" makes raising and lowering the goal easier even with our regulation size 42"x72" backboards. 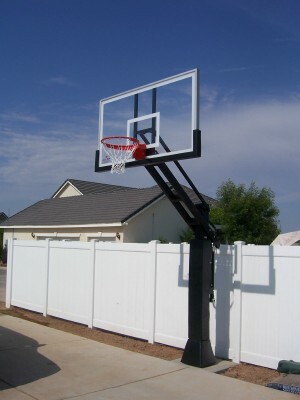 First Team offers an array of backboards and rims with the Titan. 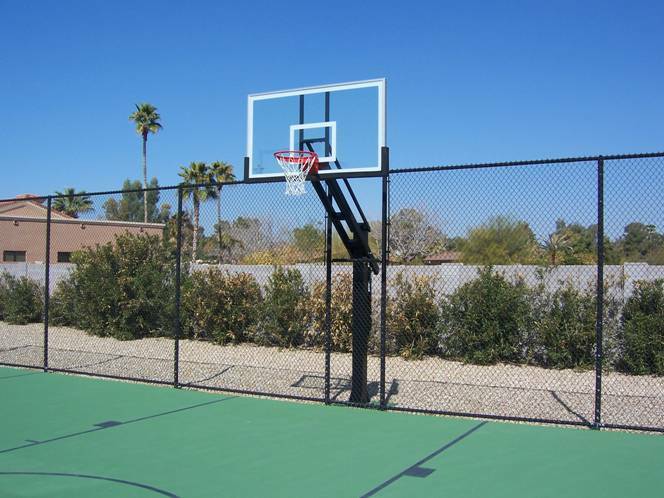 Our Response™ tempered glass backboard provides the same look and authentic ball rebound enjoyed by college and professional players. 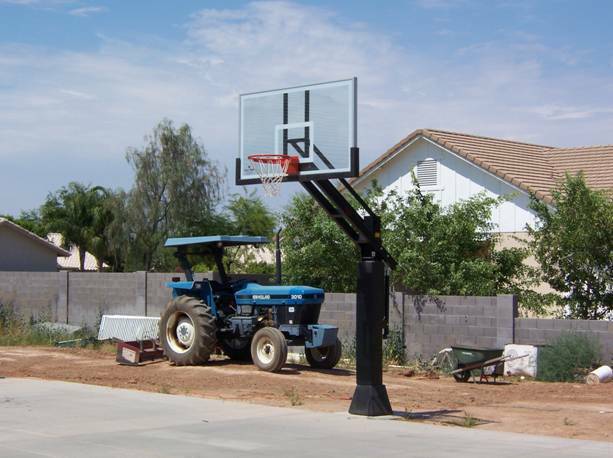 For additional safety, pole padding and backboard padding can be added to any Titan package.